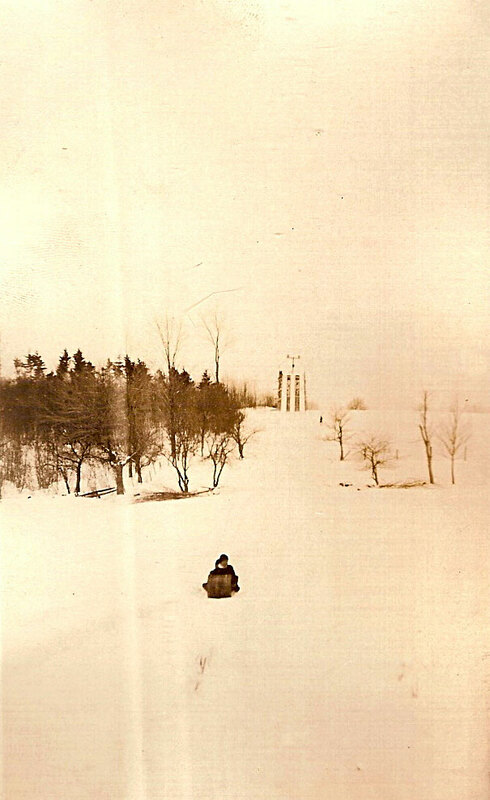 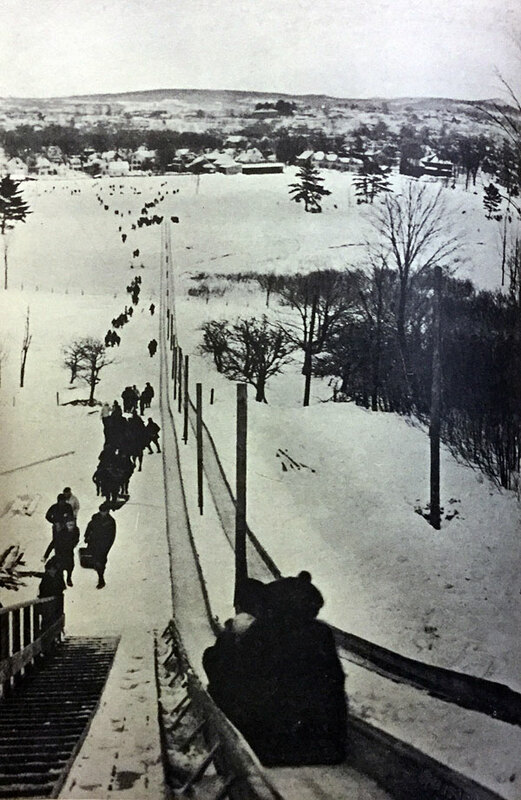 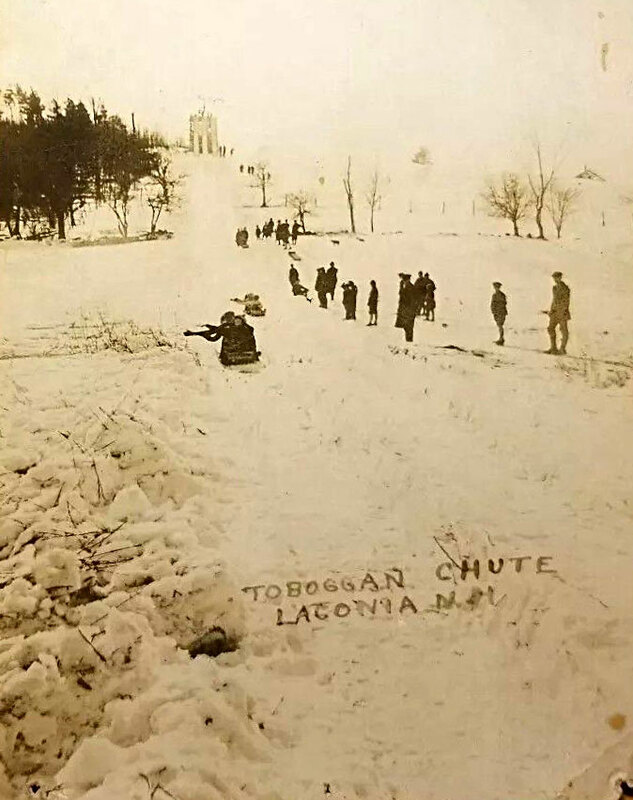 In the very early 1900’s, during the City of Laconia’s Winter Carnival, sliding down the half-mile long Toboggan Chute was quite a popular activity. 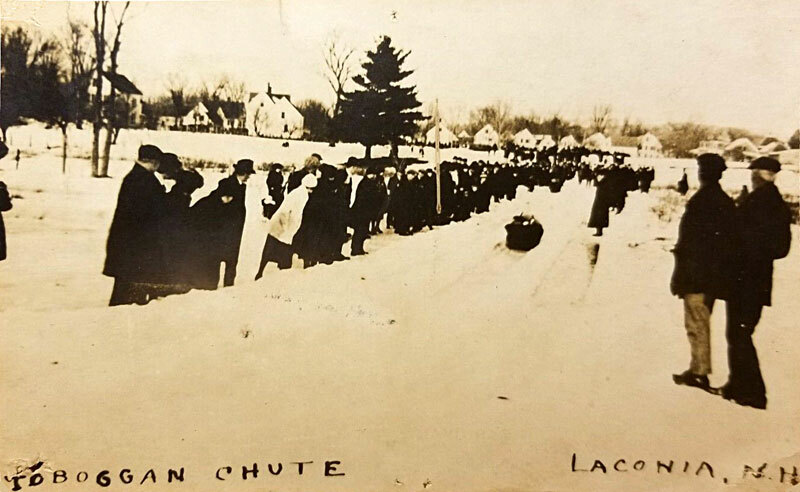 There were two separate tracks leading down the Chute, so side-by-side toboggan racing was possible. 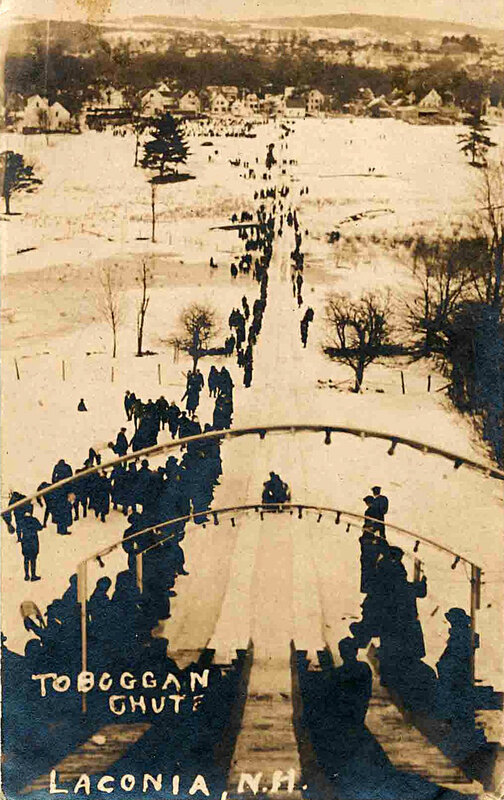 The Toboggan Chute was located on a hill that overlooked the Pearl Street fairgrounds, currently known as Memorial Park. 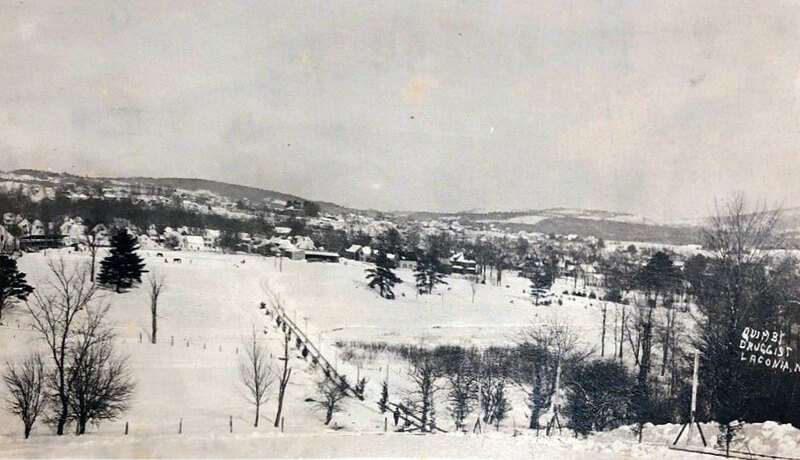 In 2010, the City cleared the hill of extensive brush, allowing sliding on the hill again after decades of dormancy. 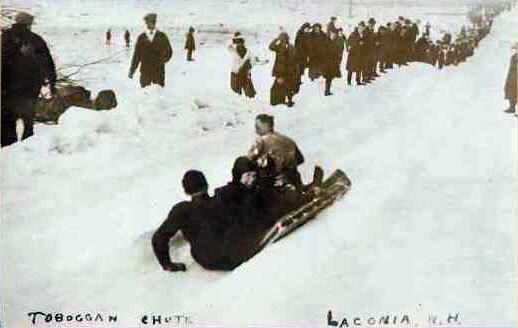 The Laconia Sledding Hill is located at the end of South Street, off of Academy Street. 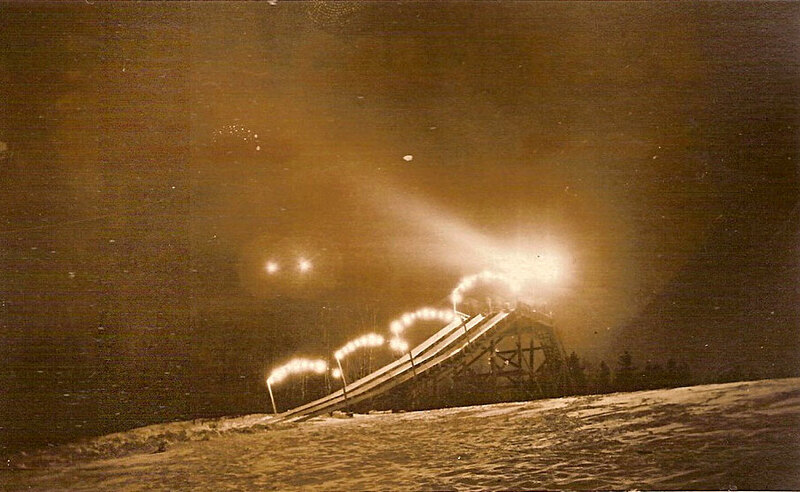 However, there are no plans to build another wooden launching ramp!